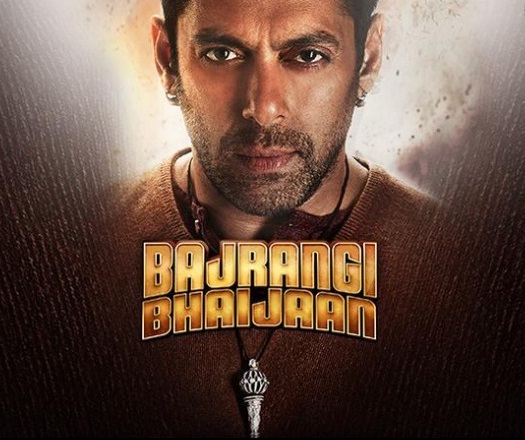 Home › Mass Appeal › Being Bajrangi Bhaijaan – Salman at his humane best ! Being Bajrangi Bhaijaan – Salman at his humane best ! A Soul Spa of sorts, ‘Heal the world’ is Salman Khan’s sublte message in this blockbuster emotional journey of within, k/a Bajrangi Bhaijaan. Bajrangi Bhaijaan is the story of a lost girl’s journey trying to get back home, across the border. Kabir Khan weaves a magic of human feelings, cultural blockages, religious inhibitions and border-fence reservations in this movie with élan and finesse. As the movie begins, pulses raise and affections pour over for the beautiful baby girl Shahida, whose mesmerizing emotive face and impeccable gentle mannerisms sweep our hearts away. As we behold our hearts and save a tear for the lost Shahida, Kabir Khan promptly directs Salman Khan into the reel and fills the air with immense optimism. AND we realign easily into our Cineplex recliners because Salmaan hai na ! We know he will do the rest. And do enjoy the “Hanuman Chalisa” Action scenes of Salman Bhai ! But Kabir Khan doesn’t allow us to stay casually reclined for long. Comes in Salman’s own little story – his ‘Shakha’ Swayam Sevak Father, Salman’s tryst with failures, and his body-building pehelwaani fiascos. We giggle and recline back to our couches and Salman takes us with him into the busy Dilli ki galiyaan. Revealations disclose Salman’s fetish for truthful utterances, and we get drawn into his charismatic experiments with truth, Bajrangi style. What’s in a religion, details the Director in a comical, practical makes-us-guilty realistic manner. We get totally aligned with Salmaan-Kareena’s level-headed reasoning and we all begin to work in perfect mental sync with the storyline. We realize after a long time that we all have crossed the border of dissent and reached Pakistan along with Salmaan. Kabir Khan and Salmaan make this transformation within us via great story-telling and intelligent thought-provoking situations. A well-made simplistic movie seeks a progressive mindset. ‘See it to feel it’ is the recommended tag line for this beautifully crafted heartening saga.